Shimon is a robot with four arms – but instead of using them to crush the life out of humans, all he wants to do is jam on the marimba! Judging by his head movements, this artificial intelligence is pretty into the music! 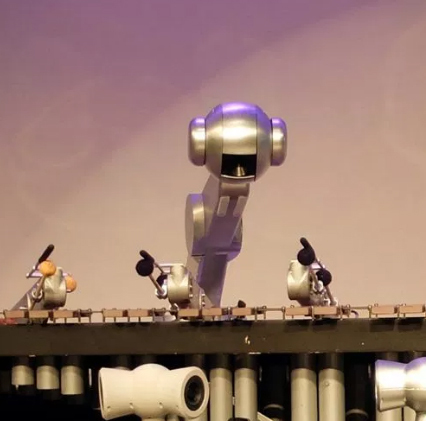 You might ask: why does a marimba-playing robot need an anthropomorphic head to wave around anyway? The reason is to give feedback and visual cues to his fellow musicians, while improvising with the band. HT: Mike Murphy at Quartz.